In a perfect world, employees could separate their personal experiences from their professional lives. But, the reality is that many workers spend their days worrying over untold personal matters which can reduce their effectiveness and put a strain on productivity levels. 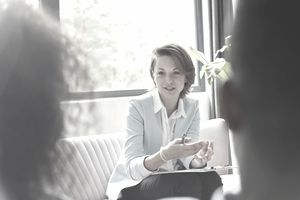 Fortunately, organizational leaders understand the human side of the workplace and this has led to the development of Employee Assistance Programs or EAPs, which provide support and resources for struggling employees. An Employee Assistance Program is a unique employee benefit that is generally offered at no cost to employees, up to certain plan limits. Essentially, an EAP is designed as an intervention program that serves to identify and help employees with resolving any number of problems they may be facing. This can include personal, professional, financial, emotional, marital, family, or substance abuse issues. These are problems that interfere with the employee’s ability to perform his or her work up to company standards. In some cases, the problem is serious enough to put the employee and the company at risk. For example, an employee may be dealing with domestic violence at home stemming from a mentally-ill spouse. Over a period of time, the employee begins arriving at work later and later, staying long hours, and becoming less productive and more distracted. A manager can refer this employee to the human resource office to receive information about the EAP to seek counseling and support. All of this is handled confidentially, which protects the employee from any retaliation from the abusive spouse. The employee can choose help to escape the abusive situation and prevent the spouse from showing up at the workplace unannounced to hurt them. This helps to protect the employee as well as the company. Employee Assistance Programs can also be utilized by employees who are under a great deal of emotional stress due to professional, marital, or family relationship discord. They may be coping with a serious health issue with a parent, have an out-of-control child at home, be facing overwhelming student loan debt, or just need to talk with a caring counselor about a personal problem. In many cases, the spouse or partner of the employee can obtain support from the EAP as well – to help sort things out so that the employee can experience a more positive work and personal life. Some EAPs also include access to free and low-cost legal aid and referrals to attorneys who work with people in the community. The EAP is a third party service that has many resources beyond what an employer can offer. This takes the burden off the employer and reduces risks. It’s important to note that Employee Assistance Programs are not actual health insurance plans, nor do they provide financial support to employees. They cannot diagnose a health issue or replace real medical or psychological treatment. However, many EAPs offer nurse advice via toll-free hotlines for making important health decisions, or for getting information about mental health counseling or health services. Some programs may also be able to facilitate access to specialized care, such as for elder care services, respite care support, and even free medical clinics. EAPs are 100 percent paid for by employers and are most often operated through an agreement with a third-party administrator. This is critical because employees must feel comfortable speaking in confidence with a professional about their personal problems, without fear of losing their jobs or status at work. However, if the EAP offers access to medically-related support, such as mental health counseling or treatment for alcoholism/substance abuse, they are regulated by ERISA and subject to COBRA guidelines. As per the U.S. Department of Labor and ACA guidelines, EAP programs, "are considered to be excepted benefits, but only if the program does not provide significant benefits in the nature of medical care or treatment." EAPs are not portable benefits, and they expire upon termination from the company benefits program. EAP programs are part of a competitive benefits package and they can be highly beneficial in the workplace because they promote employee self-managed care, which can reduce health care costs for emergency room visits and expensive treatments for addictions and negative behaviors that go on too long. Employees are encouraged to take advantage of this no-cost benefit which is available at any time of the year.